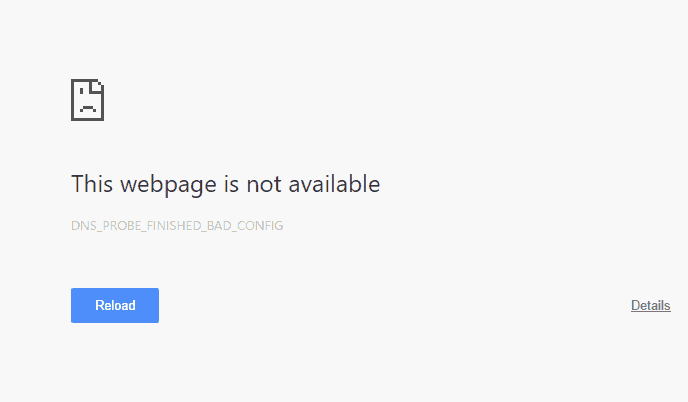 Nothing is more frustrating than getting on your computer, and a web page just not working. It’s 2017, we expect technology to be automatic and work without flaws. Unfortunately, that is not the case yet. The error that this article goes into detail about prevents you from accessing certain web pages, and as you may have guessed from the name, is related to the DNS. This issue is Google Chrome specific, but it can affect you on whatever device or operating system you are using. Therefore I will show steps on how to fix this nagging problem with the desktop operating system the Mac, the web browser Google Chrome, and the smartphone the Android. A key to understanding this error is understanding exactly what the DNS is. So, that is where I will begin. 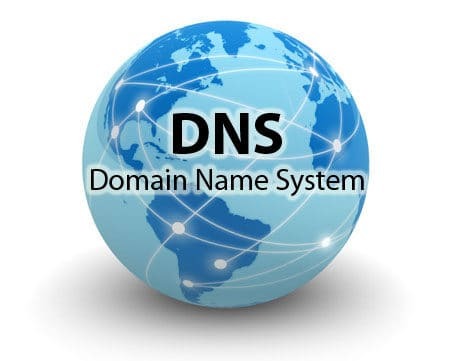 The DNS, or Domain Name Server, translates domains to specific IP addresses, so people can view them on their personal devices. Therefore, when this error is presented, it is your devices way of telling you that it can’t translate the address. Your computer is set to use the DNS configured in your router or modem by default. This DNS is what your Internet Provider determines unless you change it. 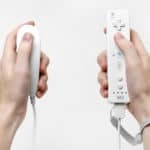 I first talked about this step in my article on Error Codes for the Nintendo Wii, and although this is a step so easy anyone can do, it is still something you should always try. You may actually be surprised how many times this will actually work. 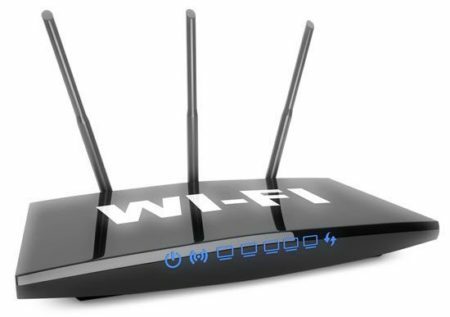 If you don’t remember what to do, just turn off and unplug your router or modem for about a minute, and then turn it back on and plug it back in. That is all you have to do, and just resetting it can make a huge difference. Another simple task you can try is to reset Google Chrome. It’s the same principle as the previous step, except this time you are doing it with your web browser, not your modem. This step is the exact same for any device or operating system. All you have to do is open up Chrome and in the address bar just type chrome://settings/resetProfileSettings and then press Enter. 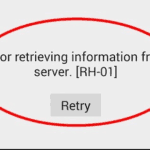 A pop-up like the one below will appear, and simply click reset, and this problem may be solved. Think of this step as like refreshing a web page when it’s not loading. The only difference is that instead of a URL, we are dealing with your IP address. This tip should be performed with the next tip as well, as they go hand in hand, and won’t be nearly as effective if just done by themselves. To renew your IP address on a Mac, follow these steps. As a common theme in this article and other, start by clicking on the Apple button and go to System Preference. After that, open Network. Once again, select the network you are connected to and click on the Advanced button. From the tabs, select TCP/IP. Finally, click on Renew DHCP Lease and doing so will renew your IP address. Renewing your IP address on a smartphone is a difficult process that requires some advanced knowledge of coding. For regularly everyday people, I would recommend just renewing it through your router or whatever your computer is connected to it. This is a much simpler process. However, if there is no other way than to do it through your Android, there is an app titled ipconfig in the Google Play Store that can help you do this. Your DNS cache is a database that temporarily stores records of all recent and attempted visits to websites. Flushing or clearing this cache may correct this error. This is if there is a change in the DNS Server because your system will be looking up for its local cache to navigate you to a website, and its local cache will be inaccurate due to the change. That is why setting your DNS cache back to how it originally was may fix this problem. To do this on a Mac requires you to type in some code. 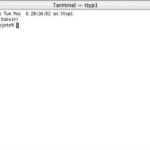 To do this, you need to open Terminal. Terminal can be opened through Finder->Applications->Utilites->Terimal. Once you have opened Terminal, you will type in a specific code that will completely flush your cache. The code you type in will be completely different depending on what software version you currently are using on your mac. 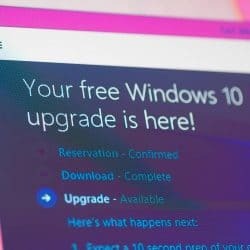 For a great list on what to type in depending on your version, check out this article from DreamHost.com. Clearing your DNS cache through Google Chrome is much easier in my opinion than through your computer. To do so, open up Chrome, and type in chrome://net-internals/#DNS into the search bar and press Enter. On the left-hand side, a menu is shown. Select DNS. From the DNS page, there will be a button you will see that reads Clear Host Cache. Select it, and that is all you have to do. As you can see, it is a much simpler step than using your Mac computer. However, the Mac method is still viable if you use different browsers and want to clear the whole computer. The Google Chrome method will just clear the DNS for Chrome, nothing else. To do a DNS cache on your Android smartphone, start by opening up Google Chrome or whatever browser you use. Tap the menu button and select Settings in the menu that appears. Choose Privacy, which will have a new menu pop-up. When doing this last step, make sure that Cache, Cookies, and site data are all checked. Finally, tap Clear, and now your DNS is flushed. As mentioned, a primary reason for this error is that many times your DNS settings are outdated and need to be updated. As a general rule, you want your primary DNS address to be 8.8.8.8 and your secondary to be 8.8.4.4. This step will show you how to check it, and then change it if need be. Start from the Apple menu and click System Preferences, then Network. Choose the network you’re connected to, and then select Advanced once you have highlighted it. A window with several tabs pops up. Select the DNS one. Click + to replace or add any listed addresses with 8.8.8.8 or 8.8.4.4. That is all you need to do to change your DNS settings. Note that the numbers I gave you are the optimal ones, and many times those are the ones already pre-set on your Mac. If that is the case, then the DNS setting is not the problem. The important part was that at least your verified, so you can narrow down your options on what is causing the error. Configuring the DNS server to your liking is just as easy on Android devices. Start by opening the Settings on the device. Press and hold your current network and after a menu pops up, click on Modify network. Add 8.8.8.8 to the DNS 1, and 8.8.4.4. DNS 2 fields. As always, disconnect from the network, reconnect, and then test again. The DNS is a powerful server on everyone’s devices that most people have no clue exists or how to operate. It is responsible for one of the most important functions of your computer; translating a domain to your IP address. You can see why if there is something going wrong with it, there will be a major error with your web browser. This error is not one that will fix itself or go away, so you need to use these methods listed in the article. As you can tell, there are several solutions, and it can seem like a lot, as I am sure you are anxious to try and fix the problem as soon as possible. However, it is important to be patient when dealing with these errors. Don’t get frustrated if your first attempt at fixing it doesn’t work. I strategically set this list up in order from things that take the shortest amount of time to the longest. All in all, if you had to do all five of these solutions, you may spend 15-20 minutes. It is definitely worth it, as you will be correcting a nagging error that will only keep coming back, not going away. If all else fails, contact your internet provider, and they may be able to assist you. Have another great solution that worked for you or questions that weren’t answered? Don’t be shy, leave a comment below, and we’ll get back to you soon! 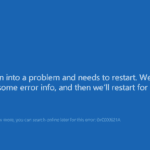 Fix Windows (7, 10) Detected A Hard Disk Problem: Is It A Virus?